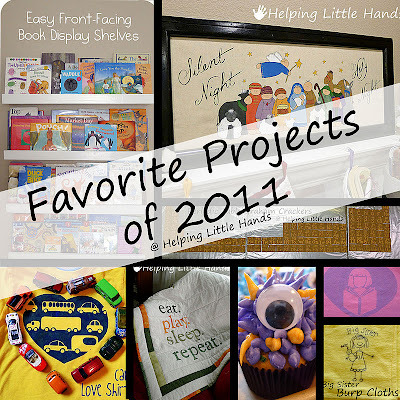 I had something else planned for today...but I've been seeing "Top 10" posts popping up all over, and thought it would be good to remember some favorite projects from the year. Some of my very favorite projects from the year are things I made for Christmas, which I haven't even posted about yet...but I guess they can go in a top 10 list for next year. 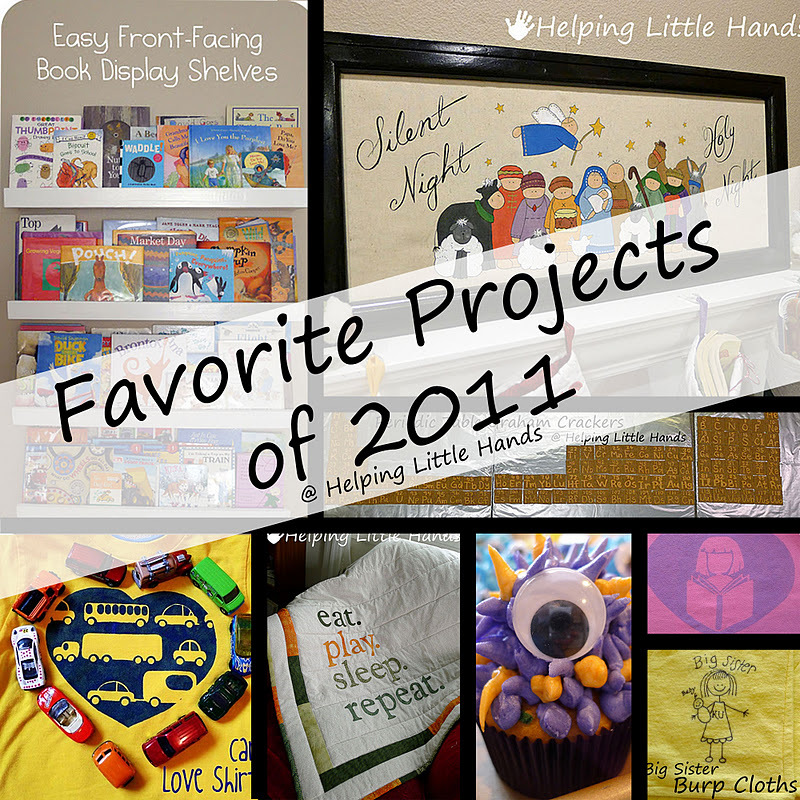 So here are some favorites projects (or categories of projects) in no particular order. I think my all time favorite project this year was making these Front Fracing Book Shelves. Hubby and I made them together, and they were pretty easy, even with our limited woodworking experience. Click the link for a full tutorial. I also really love one of my most recent projects. 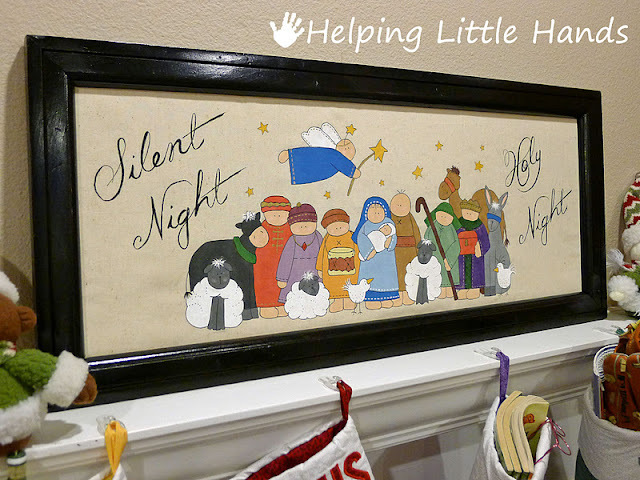 I've been planning on making this Hand-Painted Nativity all year. I just posted the tutorial for it a couple days ago. I've had a lot of fun doing what I call "Faux Embroidery." Taking embroidery patterns and working them up in fabric pen and crayon instead of embroidery thread. My favorite source of patterns has been Twin Stitchers. 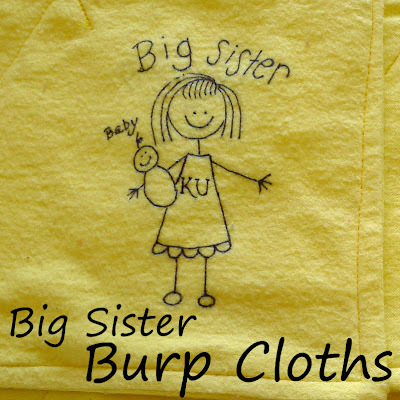 Click here to see other faux embroidery projects. 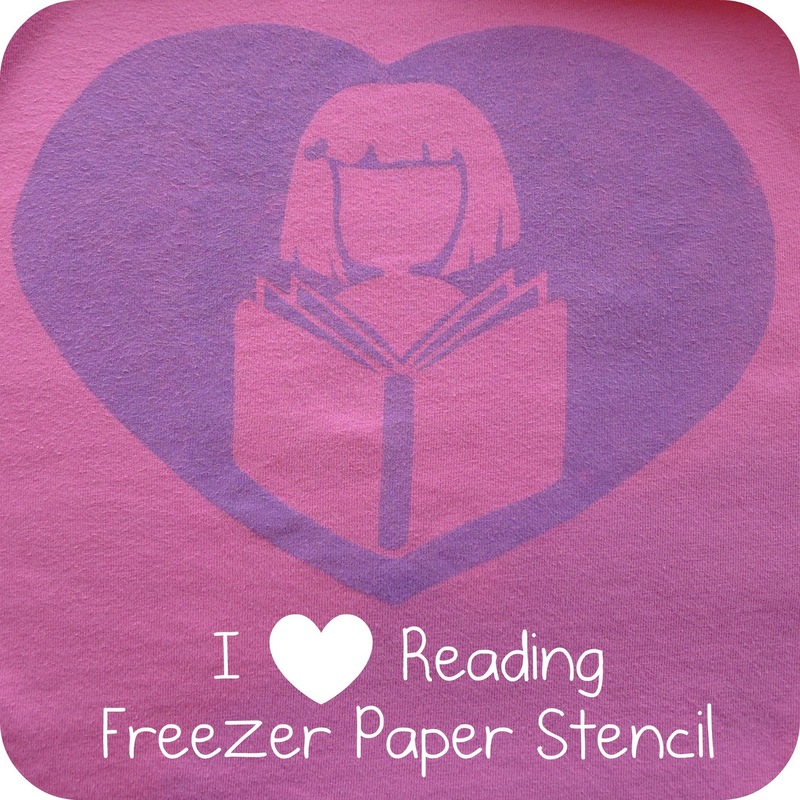 I'm not sure what took me so long to try freezer paper stenciling, but I've done quite a bit of it this year. 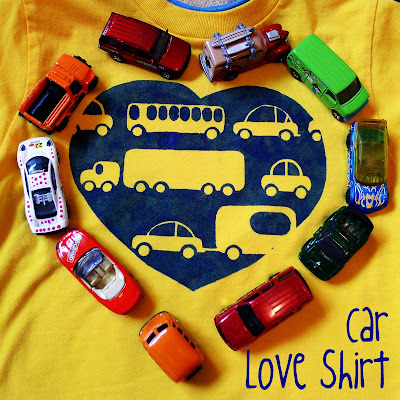 Two of my favorite patterns were the Valentine's shirts I made for my kids. They're generic enough that they've been wearing them all year, and my girls love that their shirts look like them. 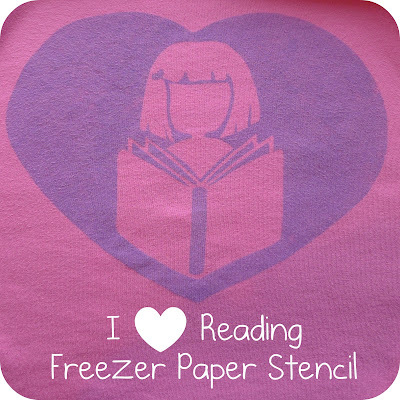 You can see some of my other Freezer Paper Projects here. Back in March, I hosted a month long Read-A-Long. 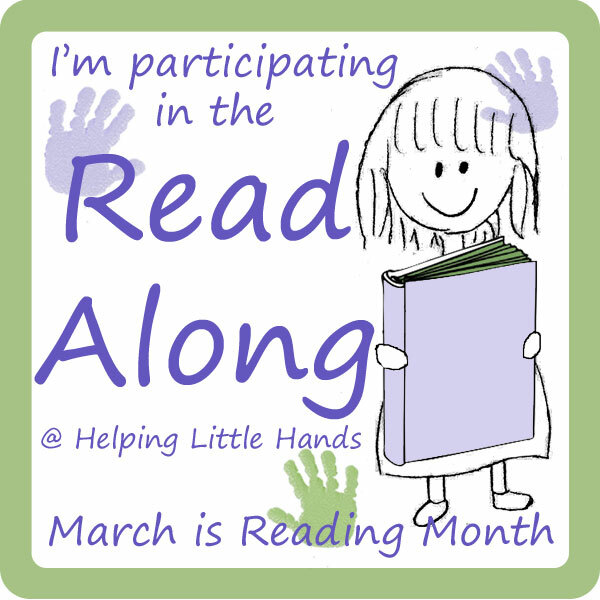 I shared some of my favorite children's books and related activities, and a lot of other bloggers joined in as well. We shared over 50 activities and books. You can see the archives here as well as many other children's books and activities that I've shared on my blog that were not part of the Read-Along. We've had fun decorating different cupcakes this year...and all of them have been simple to do. 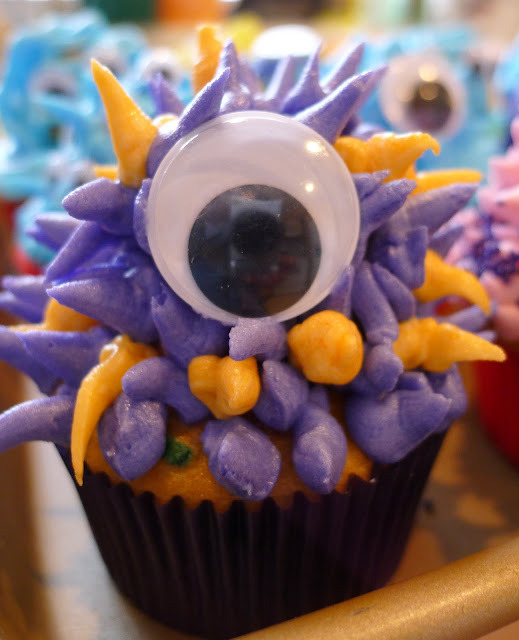 My favorites were the Monster Cupcakes that I made for Firecracker's class for her birthday. And you can see some of our other fun cupcake projects here. I had to include this one, just to remember our quirky side around here. Here was this year's version of the Periodic Table in Graham Crackers that Hubby used to celebrate Mole Day with his students. You can click here to see all my burp cloth projects. And last, but not least...I've been making lots of quilts this year. Quilting is one of my very favorite crafts to do...but I haven't done all that many in the last several years...until this year. 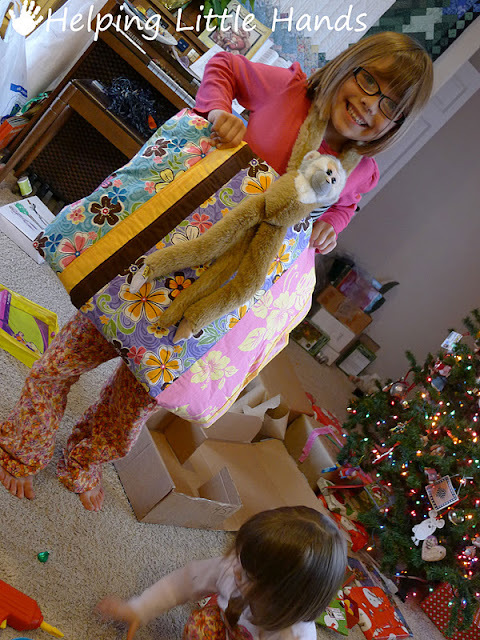 You can see all of my quilting projects here. I made this Baby Life Quilt for my sister's baby earlier this year. 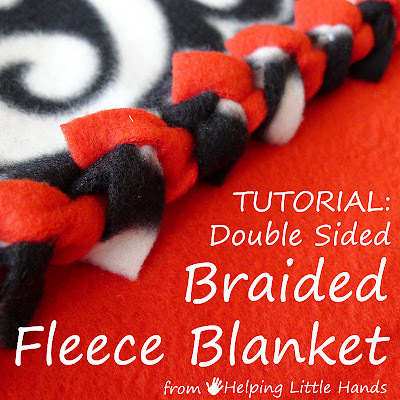 And last but not least...this tutorial for making a double-layered fleece blanket with a "braided" or crocheted edge has been super popular. It's only been up for about a month and is already one of my move viewed posts ever. I love all of your projects. I am always encouraged by your ideas and tutorials. 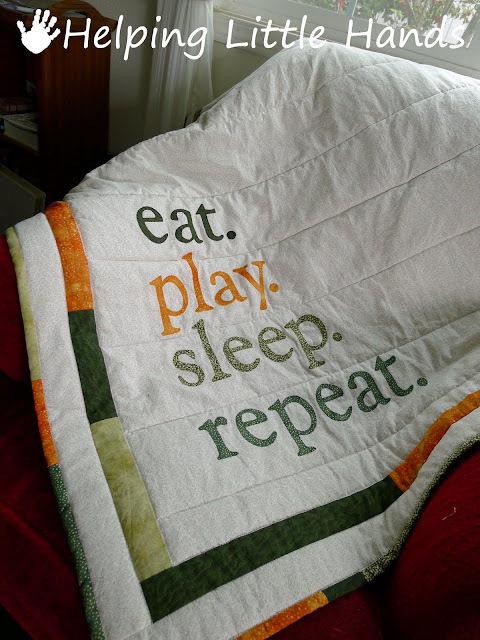 I love to quilt but beyond that my crafting skills are pretty limited. When I see your ideas and tutorials they always seem like something I could do. I recently got some patterns (Very, very simple patterns) from Twin Stitches to try your faux embroidery. Thanks for your great ideas. Keep it up I can't wait to see what you do next! Happy New Year! I love all of these ideas! 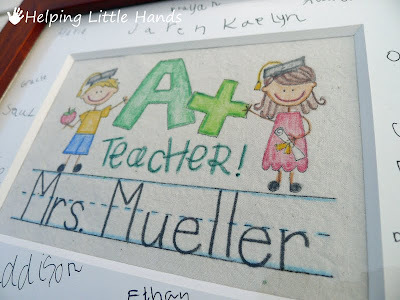 I think it's such a great thing to include the kids! I'd love you to link up some of your ideas at my linky party going on now. Thanks for sharing your wonderful posts for 2011. 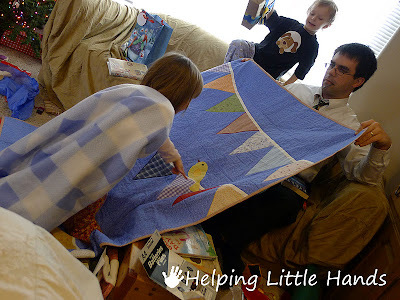 My kids are grown and gone but I could sure use some of your projects for baby showers, etc. 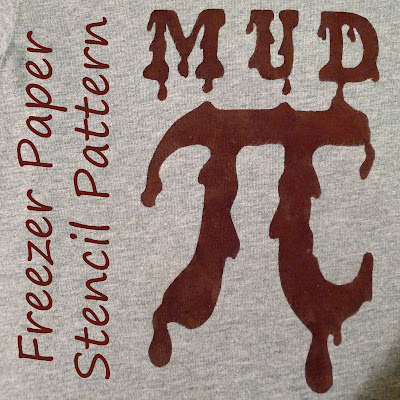 I made the mud pi t shirts over the summer. 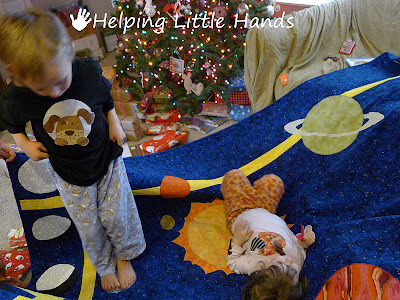 It's my boys favorite shirts!